Over the weekend, I competed at Pioneer’s Tribute meet in San Antonio, Texas. I live in Texas, and I truly believe in Pioneer and what that company does for powerlifting, so I was really excited for this one — but unfortunately, it didn’t go so well. I was suffering from a lot of injuries this prep, and they got the better of me. I did learn a lot, though, and I want to share my three biggest takeaways from the whole experience here. I’m lucky enough to have a naturally fast metabolism and carry a pretty low amount of bodyfat even when I’m not dieting. But for this meet, I decided to try to drop down to 181 pounds, and to compete in that class, I did have to diet — really, really hard. For the first couple of months that was fine. I was able to maintain my strength, felt great, and the number on the scale kept falling pretty consistently. But as I had to continually lower my caloric intake to get that number to keep falling, the cumulative fatigue of my diet and training began to take their toll. About a month out from the meet, I tore my quad. Then, less than a week out, I pulled a hamstring. Ultimately, these injuries led to a very subpar performance come meet day, and they were extremely frustrating at the time because I couldn’t point to a single flaw in my training that would cause me to get injured. My technique was on point and my program was sound. But as I learned, no matter how great your genetics might be, those things can’t compensate for a lack of nutrition. 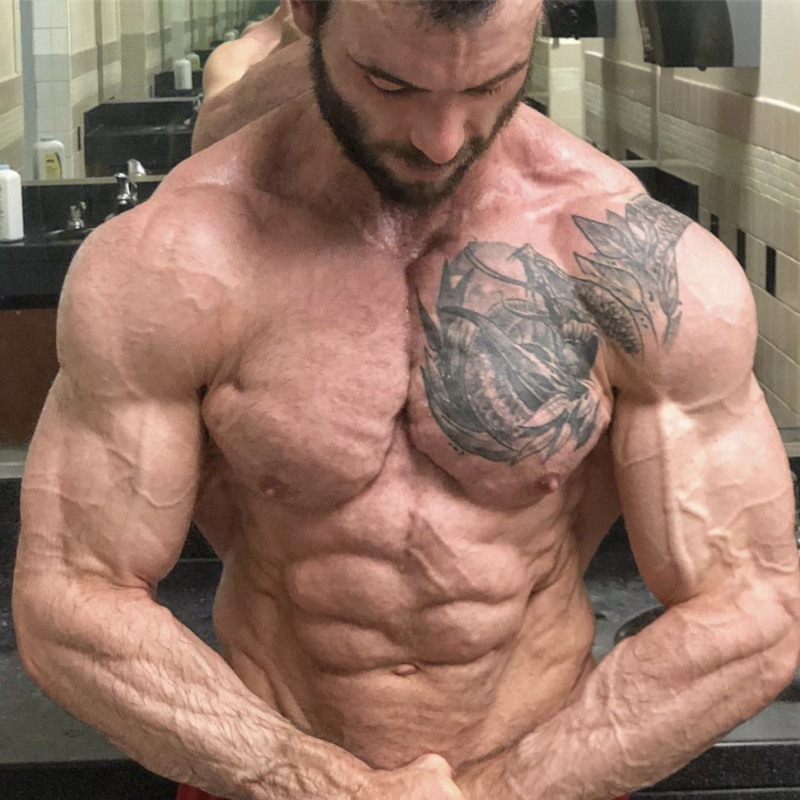 I strongly believe that trying to complete the hardest part of my training with such a low level of bodyfat was the major cause of my injuries. The truth is, come meet day, my bodyfat was nearly as low as that of a competitive bodybuilder — I had striated glutes and triceps and vascularity in my abs — and so it should have been obvious that I overestimated my physical abilities and resilience. I won’t make that mistake again. So, what should you do if you’re suffering from poor nutrition during meet prep? Identify the reason for your poor nutrition. If it’s because you’re trying to drop a weight class, maybe reassess that idea. If it’s because you’re too busy (or lazy) to meal prep, consider investing in a meal delivery service. Reduce your training load. Remember, stress is cumulative; if your body is stressed from a lack of calories outside the gym, you can compensate for that to some degree by backing off inside the gym. Other strategies to improve recovery can help, but only to a limited degree. I made sure to get extra sleep and take it as easy as possible at work during that last month of prep, but it wasn’t enough to compensate for my major stressors. This has always been a fear of mine: That if I’m not constantly pushing my limits and setting new personal records, I’m getting weaker. This meet prep taught me that that’s simply not how things work. After tearing my quad 4-weeks out from the meet, I was unable to squat anything over 70% of my 1-rep max all the way up until my last heavy training day. I did the best I could in the meantime: lots of volume with very light weight, using only a range of motion that was completely pain-free. When that last training day came around, I was able to complete the exact workout I had planned originally, before I got hurt in the first place. Now, just like I shouldn’t have been surprised to get hurt when training heavy while dieting hard, I also shouldn’t have been surprised about this. There’s plenty of research that shows how long it really takes to detrain, and a few weeks isn’t going to make much — if any — difference in your ultimate performance or achievement, especially if you’re still going to the gym and doing what you can in the meantime. Of course, fears aren’t always rational, and my fear of injury certainly isn’t. However, the next time I get hurt (and I know that there will be a next time, if I continue to compete at a high level), I hope that I find this experience reassuring, and have a bit of an easier time trusting the process rather than worrying about the outcome. How do you know if it’s the right time to rest? If you have an injury that’s not improving despite efforts to train around it. If you’re getting weaker or repeatedly missing lifts. If you notice that you’re having a significant difficulty managing your energy outside the gym. If you’re tired all the time despite sleeping enough — or unable to get a good night’s sleep at all — that’s a good sign that you could be overreaching. The truth is, this has never really been a concern of mine. I put so much pressure on myself to perform at my best that there’s just no room to care what others may think. But in speaking with the athletes that I coach and lifters that I meet in the gym or in other competitions, I think it’s very common to experience a bit of stage fright when you’re planning to participate in a powerlifting meet. If that’s the case, hopefully I can offer a bit of reassurance: I squatted 100 kilos at an international-level meet — and needed two tries to do it! — and nobody criticized me for being weak, stupid, or anything else. In fact, they all congratulated me for giving it a shot knowing that things might not work out, and for finishing the meet despite having no chance to win any awards. And I don’t think that’s because I have a lot of followers on Instagram. I think it’s because people appreciate the fact that it’s really darn hard to put yourself out there, take risks, and push yourself to your limits. So if you’re on the fence about competing, know that everyone who matters to you will respect you for having that courage, no matter how your meet goes. Author’s Note: By the way, if you’re wondering, I forgot to wait for the commands on my 100-kilo squat. Hey, it was an off day! And a big thank-you to BarBend’s Jake Boly for all his support while I was dealing with my various injuries. Really appreciate it, man.